… the famous Fraunhofer Refractor. Designed by Joseph Fraunhofer, it was begun in 1826, shortly after the inventor’s death. 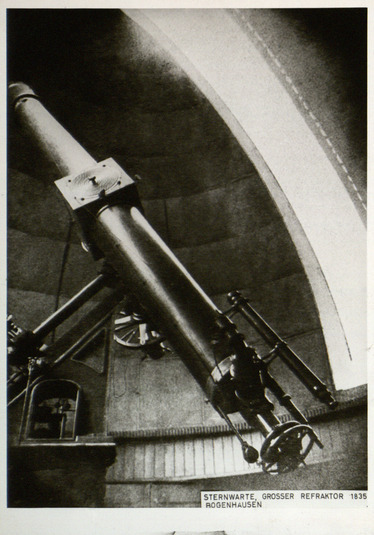 In its time, it was regarded as the best telescope in the world.